Saint Tirumangai Azhwar had compressed the glory of Lord picked from scriptures as Srimad Bhagavatam so melodiously in a single verse in his Mangalasasanam hymn . 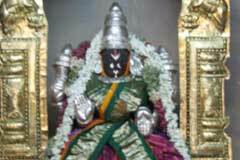 Vaikunta Ekadasi is devotionally celebrated in the temple in December-January. 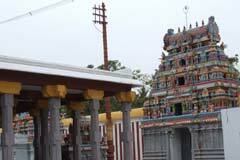 Sri Jagannathan Temple, Nathankoil-Nandhipura Vinnagaram, Thanjavur district. Lord Jagannatha is blessing the devotees from the sanctum facing west. 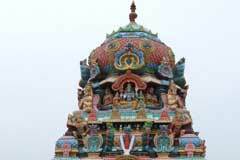 The vimana above presiding Lord is called Mandhara Vimana. 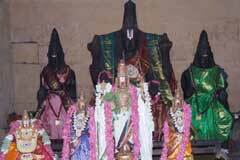 Nandhi and emperor Shibi had the darshan of Lord in the temple. People pray for timely wedding, reunion of couples separated for some reason or other, child boon, favourable court verdicts in litigations and cure from neurology problems. 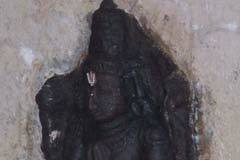 Lord Perumal took Mother Lakshmi in His hands who was performing penance then facing east. Hence He is facing west. 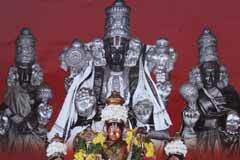 As Mother performed penance in Shenbagaranya region, She is praised as Shenbagavalli. Lord is Jagannathan. The name of the place has in it the name of Lord. Sri Nandhideva, bull vehicle of Lord Shiva went to Vaikunta and in his urge to see Perumal He did not respect the Dwarapalakas. 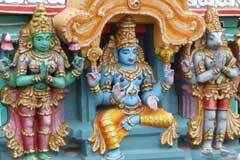 They cursed Nandhi that His body would suffer from excessive heat. When Nandhi informed his Lord Shiva, He advised him to go to Shenbagaranya and perform penance where Mother Mahalakshmi also was in penance on Lord. 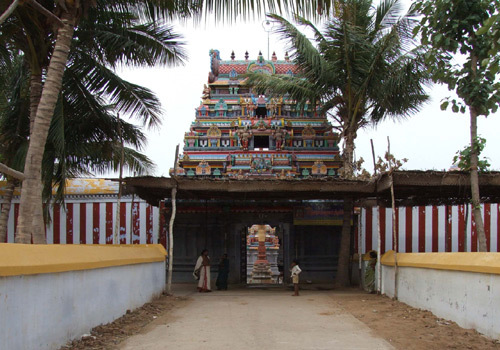 Perumal granted darshan to Nandhi and named the place Nandhipura Vinnagaram in appreciation of his curiosity to have His darshan ignoring the Dwarapalakas. 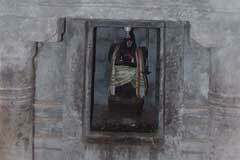 Lord Jagannathan is holding His weapons sword, bow, discus, dhanda and conch. In early days, Lord was facing east. To accept Mother Mahalakshmi in His Chest and to appreciate emperor Shibi who sacrificed his flesh for the sake of a dove, He turned west then, according to sthala purana. 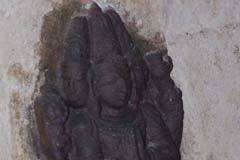 Nandhi and Brahamma are in the sanctum with Perumal promoting Saivism-Vaishnavism unity. The devotee has to reach Mulayur. Buses from Kumbakonam running Via Patteeswaram pass through Mulayur. Nathankoil is 2 km from here. Autos are available.